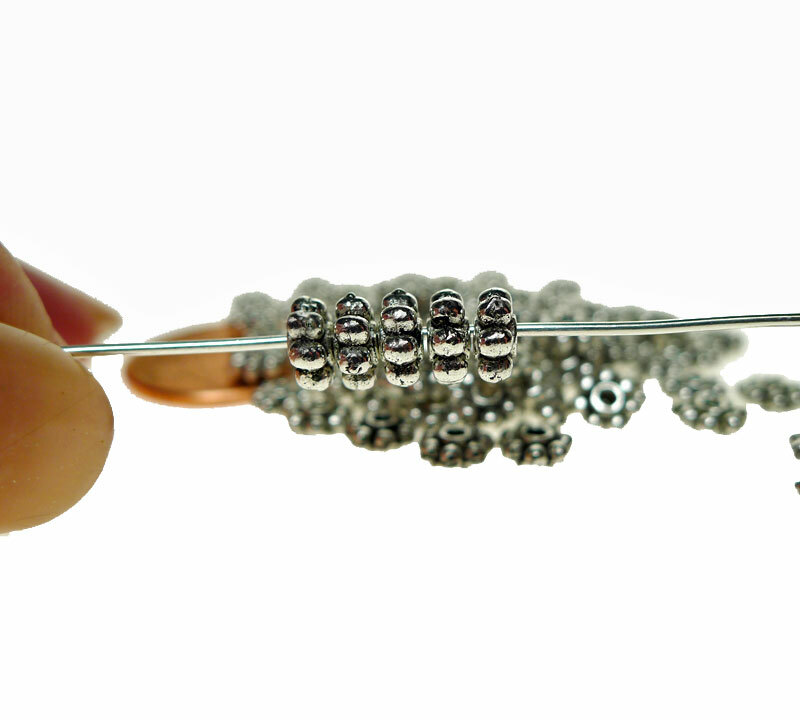 Tibetan Silver 5mm Daisy Spacers for all of your jewelry making projects -- especially useful as accent spacer beads in bracelet, earrings or necklace-making. Overall Size of these Daisies is approx 5mm across; Hole is approx 1mm in diameter. Lead-free and Nickel-free Zinc Alloy Pewter with Antiqued Silver Finish. 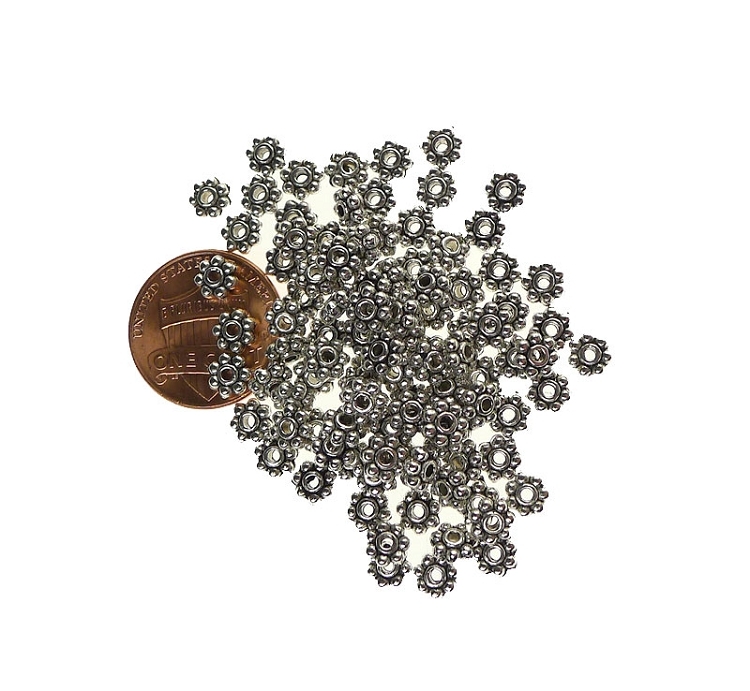 Sold by Bulk Package of 100 daisy spacers.